Every business likes to have a systematic process. If the processes are not segregated then there can be a lot of chaos within the organization. This may incur a lot of losses for the company. Technology has been amplified to a great extend. The advancements in them have made the complex process very easy. Around 80% of the companies had adopted the cloud ERP. ERP are the ones which actually carry out all the functions smoothly. Your capital cost can be reduced as there is no need to purchase computer hardware for the ERP system. There are other costs like power for running the system, IT support and the server operating systems are reduced. There is little or no need for maintaining a full-time IT staff which will actually help you in saving the capital. Most business owners even find it easy to rely on the monthly predictable charges which are paid to the cloud service providers. As all the applications and the data has to be moved to the cloud, the IT department no longer has to engage themselves in the technical problems which use to consume their time. Instead, now this department can work on some innovative IT solutions which will help in expanding the business and help you in going ahead. There are large businesses that are having multiple ERP systems in different parts of the world which can be inefficient and time-consuming. 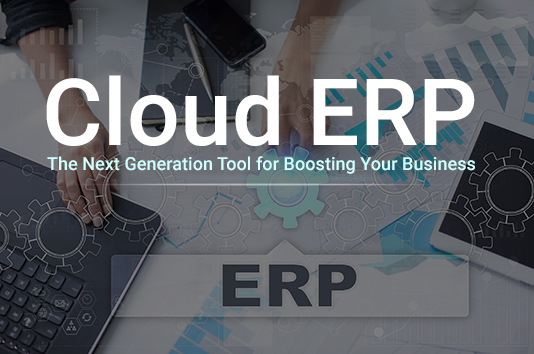 Cloud ERP is implemented in such a manner that they run the business operations all around the world attributing to time and geography. This type of ERP can be accessed on mobiles, computers and even tabs with some multiple options for customizing the currency, language or company. The real time access to information regarding different finances and inventory management will help in fast decision-making which will give you the ability to expand globally at a much faster rate than ever. As there is real time access you can provide customer service anytime and anywhere. There is no need to sit and provide the customers with all the services. Whether you are at work or at home your services cannot be stopped. It’s like being available 24/7 for your customers. Whenever a customer calls they expect that they listen to a voice and they want their problem to be solved immediately. With mobile ERP software in your hand all the answers are available to all the employees. With an internet access you can look at any account, keep a check on the payments and delivery dates and they confirm inventory levels for the customers. Enhancing the retention rates among the existing customers. Increasing the reorders among the existing customers. Clearly investing in a cloud ERP will prove to be a boon for all the companies. Consider Inspirria Cloudtech as your premium and valuable partner for managing your valuable resources of your organization. Take us as your new cloud ERP innovation and NetSuite ERP partner with a decade plus of experience working with 450+ Cloud projects. Push productivity to its optimum level with proven solutions, which is used by the best companies all over the world.